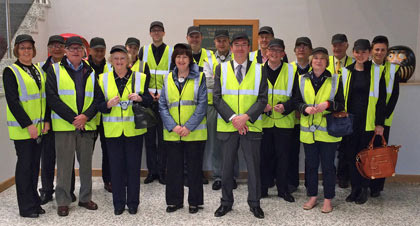 Nissan Manufacturing has been a success story for the North East of England and it was a unique privilege for the ICAEW Tyne and Wear Society to be granted the opportunity to arrange a tour of the Nissan Manufacturing Sunderland plant on 21 May. Currently Nissan Sunderland is the largest manufacturer of cars in the UK, producing over 500,000 in 2014. The plant supports a staggering 39,000 direct and indirect UK jobs, and the finance team at Nissan Manufacturing includes thirteen ICAEW Chartered Accountants. The plant has increased its initial output of 12½ cars per hour 30 years ago to its current day output of almost five times that. 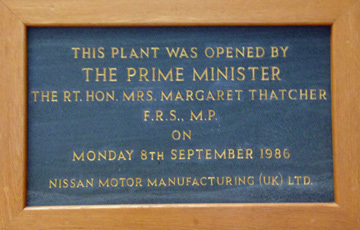 Opened in 1986 by the then Prime Minister, Margaret Thatcher, on the old Sunderland Airfield site, the plant started its manufacturing life with the Bluebird model on one line. Today, across two lines, the plant manufactures the Qashqai, electric Leaf, Note and Juke models. Nissan manufacturing plants across the world compete for work and it was excellent news that Sunderland was successful in its bid to build the new premium Infiniti Q30, currently in production for launch later in 2015. The Sunderland site provides an excellent example of vertical integration. For example, the Leaf model is powered by a battery manufactured in a bespoke facility on-site but throughout the plant, there is further evidence, with the Press Shop, Body Shop, Body Paint Shop, Plastics Shop, Castings Shop, finally leading to the Trim and Chassis plant where our tour enjoyed seeing car bodies move through the assembly line on suspended cradles, on a ‘just in time’ basis. The evolution of the plant over the 30 years has been helped by the Kaizen ethos of ‘continuous improvement’ which actively encourages its workforce to seek out areas in which improvements can be made. There is also a policy whereby each worker should be competent in at least three different jobs to provide variety and to ensure seamless cover in case of absence. It is actually challenging to explain how interesting the tour was without using every hyperbole available, but it is highly possible that if Roald Dahl was on this plant tour, a few follow-up books of his would be being penned. A huge ‘thank you’ to Nissan Manufacturing UK for this fascinating business insight afforded to members of Northern Society of Chartered Accountants and with best wishes for a continued bright future. You can find out more about Nissan on their website nissan.co.uk and read about the history of Nissan in the UK on the History of Nissan in the UK page. Nissan has also been head of The Journal’s Top 200 North East companies 2014 for the fourth year running. 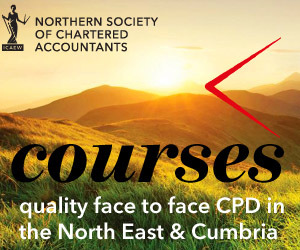 The Tyne and Wear Society of Chartered Accountants is a branch of the Northern Society of Chartered Accountants (NorSCA) which represents 4,000 ICAEW Chartered Accountants and ACA students working in business and the finance profession across the North East of England, Teesside, Northern Yorkshire and Cumbria. We have been assisting businesses in the north of England and producing chartered accountants for over 130 years.